← What Makes a Good Multivitamin and Mineral Formula? L-glutamine is a non-essential amino acid in human nutrition. This means that the body can manufacture all the L-glutamine it requires from other amino acids. However, recently there have been suggestions that L-glutamine should be reclassified as a conditionally essential amino acid. Conditionally essential amino acids are those which can be synthesised from other amino acids at most times, but which may, under special circumstances, need a dietary supply to maintain adequate and healthy levels. This relates to L-glutamine because it has become apparently that when immunity is challenged through tissue injury or infection, the requirement for L-glutamine synthesis from other amino acids may not be sufficient to keep pace with requirements, and a dietary source may therefore be required. Studies show that under stressful conditions such as may be found with tissue injury or infection, dietary L-glutamine may have beneficial effects effects and aid tissue healing and immunity. The immune system includes a number of cells such as neutrophils, lymphocytes and macrophages that all play individual roles in protecting tissues from infection. Activation of the immune system results in increased activity of these immune cells in both the blood and other tissues. Some of these cells can also proliferate in response to an immune system challenge. Therefore, during immune system activation, the requirement for nutrients by these cells also increases. It was only recently that the fuels required by these cells was considered and investigated by researchers. That these cells can utilise L-glutamine at high rates in addition to glucose suggested that L-glutamine plays a pivotal role in immune system defence. Limiting L-glutamine supply to the immune cells has been shown experimentally to inhibit their activity and to limit their proliferation. L-glutamine availability to immune cells is therefore a limiting factor in their efficiency to protect the cells and tissues of the host from infection. L-glutamine is available as a powdered supplement and such supplements have become popular. L-glutamine can be taken during illness or following physical activity and this can increase blood levels of L-glutamine. However, the absorption of L-glutamine is not efficient as the enterocyte cells of the gut use much of the L-glutamine as a fuel before it can be absorbed. 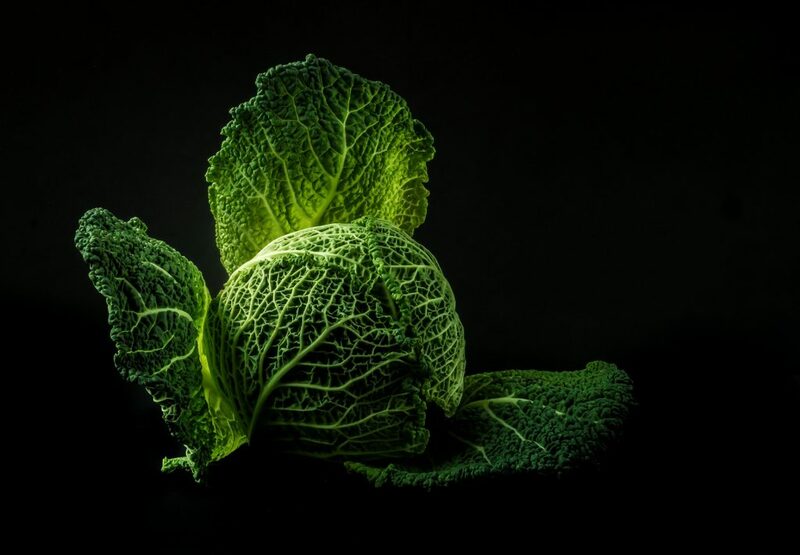 Cabbage is a good food source of L-glutamine, and also contains high amounts of vitamin C. Vitamin C is also required by immune cells for activity and requirement of vitamin C increases during infection. The benefits of increased blood and tissue levels of L-glutamine have been demonstrated in critically ill patients. In one study, a group of critically ill subjects received parenteral nutrition that included additional L-glutamine. Another group of subjects received parenteral nutrition, that was of similar energy and nitrogen content, but without added L-glutamine. Survival of the subjects at 6 months was significantly higher in the group receiving additional L-glutamine, compared to those who were receiving the control nutrition. When a cost analysis was done on the treatment, the addition of L-glutamine to the parenteral nutrition was shown to significantly decrease the cost of treating each patient. Therefore L-glutamine requirement appears to increase significantly during times of tissue injury and immune stress, and supplying L-glutamine may have beneficial effects at supporting the immune system. L-glutamine may also be beneficial at preventing the immune system depression seen following intense physical activity. This entry was posted in Immune System, L-glutamine. Bookmark the permalink.